The Best Paranormal Podcasts from thousands of Paranormal Podcasts on the web using search and social metrics. Subscribe to these audio podcasts because they are actively working to educate, inspire, and empower their readers with frequent updates and high-quality episodes. 2.9 Where Did the Road Go? Paranormal Podcast newsletter is a comprehensive summary of the day's most important audio podcasts episodes from the best podcasters on the web, and delivered to your email inbox each morning. To subscribe, simply provide us with your email address. Minnesota About Podcast Enlightening & Entertaining discussions about all things Paranormal with world renowned researchers and experiencers, challenging everything we think we know about Ghosts, Ghouls, Angels, Demons, Aliens, Monster Encounters, Mysteries and Miracles. Facebook fans 23,650. Twitter followers 74,795. Facebook fans 24,335. Twitter followers 10,529. USA/Earth About Podcast America's Top Paranormal Podcaster interviews the best known names in the paranormal about UFOs, Ghosts, Bigfoot, and everything paranormal! Guests have included Amy Bruni, Chip Coffey, George Noory and the biggest names in paranormal studies. This feed reflects the last 90 days of content. The Paranormal Podcast has been in production since 2005 with over 480 episodes. Hosted by Jim Harold. Facebook fans 6,430. Twitter followers 14,383. Sydney, New South Wales About Podcast Mysterious Universe covers the strange, extraordinary, weird, and wonderful and everything in between. On these pages you will find the latest news on topics as unorthodox as the UFO Phenomenon, Ghosts and Hauntings, and Cryptozoology, along with the latest in Science, Technology, and Astronomy. Mysterious Universe began as a Podcast in 2006 produced by Benjamin Grundy. Facebook fans 592,581. Twitter followers 34,714. About Podcast All things paranormal With your host Jennifer Shortridge & Joe Shortridge Brother and Sister duo Joe and Jen have been interested in all things paranormal since their childhood. We bring to you our personal experiences, news from the paranormal world and special guests. About Podcast All Day Paranormal is an off-shoot of the popular paranormal blog. Every week, host Krystle Vermes dives into topics ranging from hauntings to cryptozoology alongside her co-host and husband, Manny Veiga. Night Vale, USA About Podcast WELCOME TO NIGHT VALE is a twice-monthly podcast in the style of community updates for the small desert town of Night Vale, featuring local weather, news, announcements from the Sheriff's Secret Police, mysterious lights in the night sky, dark hooded figures with unknowable powers, and cultural events. Facebook fans 346,469. Twitter followers 356,984. Portland, OR About Podcast Ground Zero is a nationally syndicated five hour live broadcast originating from the KXL studios in Portland, OR and syndicated live by Premiere Radio Networks. Hosted by radio veteran Clyde Lewis, Ground Zero is truly independent media and covers the spectrum of Fortean/paranormal and the para-political. Facebook fans 97,263. Twitter followers 14,057. 9. Where Did the Road Go? Ithaca, NY About Podcast Where Did the Road Go? is a show that explores the fringes of our reality. The Paranormal, Unexplained Mysteries, Consciousness, and much more. Facebook fans 1,848. Twitter followers 1,421. About Podcast The Last Podcast On The Left covers all the horrors our world has to offer both imagined and real, from demons and slashers to cults and serial killers, The Last Podcast is guaranteed to satisfy your blood lust. Area 51 About Podcast With a lifelong interest in paranormality,space and science, Howard wanted to bring his hard news and broadcasting skills to a UK radio show. That’s why he created The Unexplained. The show has been running on radio and online for 12 years. Howard currently works for the BBC as a newscaster and presenter and also does a weekly live version of The Unexplained for national commercial station talkRADIO. Facebook fans n/a. Twitter followers 1,072,439. Facebook fans 2,450. Twitter followers n/a. San Pedro, California About Podcast Anything Ghost (since Jan. 2006) is a podcast that was created by Lex Wahl (the host). Lex came up with the idea of Anything Ghost after being inspired by listening to the Haunted New Jersey podcast (a group of researchers who took an intelligent look at the paranormal), as well as Ghost to Ghost AM. The idea behind Anything Ghost was simple: listeners email their personal experiences with ghosts to Lex Wahl, and Lex reads the stories (adding music to the background). Facebook fans 5,304. Twitter followers 1,585. UK About Podcast A new topic every episode dealing with the Unexplainable, Paranormal, Extraterrestrial, Spiritual, Scientific, Mysterious and more. Bob, Tiss & Beef talk the strange and unexplained. Facebook fans 466. Twitter followers 292. Chicago - RPA Mansion About Podcast Real Paranormal Activity Podcast features the real paranormal experiences from people like yourself! RPA provides engaging interviews with mediums, psychics, authors, investigators and so much more! We explore into the realm of Demonic Activity, Shadow People, Possession, Cursed Objects, Haunted Houses and more! Facebook fans 8,593. Twitter followers 9,971. About Podcast PEERANORMAL introduces listeners to peer-reviewed research on all things generally considered paranormal. 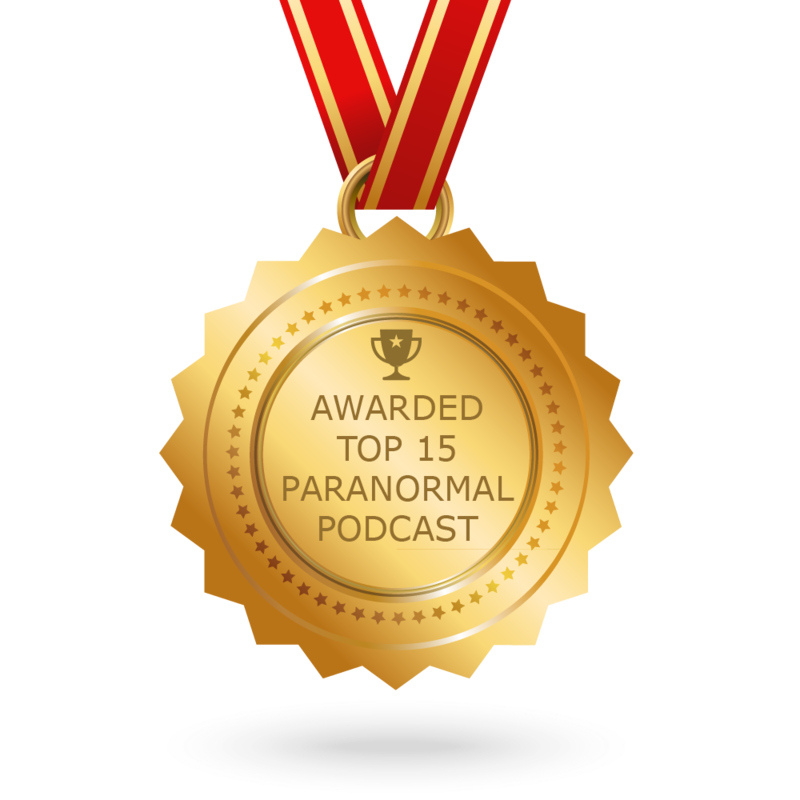 CONGRATULATIONS to every podcast that has made this Top Paranormal Podcasts list! This is the most comprehensive list of best Paranormal Podcasts on the internet and I’m honoured to have you as part of this! I personally give you a high-five and want to thank you for your contribution to this world.